These masks are perfect for a ‘people who help us’ topic. 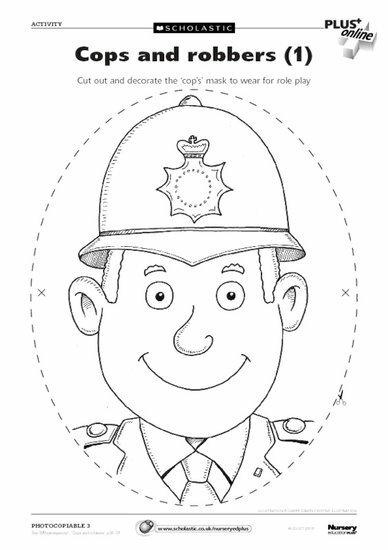 Encourage children to get involved in cops and robbers role play. Early Years members of the Scholastic Resource Bank can get instant access to this activity sheet and thousands more online resources. Our finely crafted resources include lesson plans, teaching ideas, planning and assessment tools, activity sheets, interactives and video. What’s in your… malleable materials area?